The name says it all! 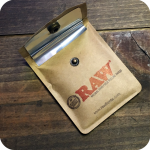 The RAW Pocket Ash Tray is the perfect on the go tool for discreetly and cleanly disposing of ash. 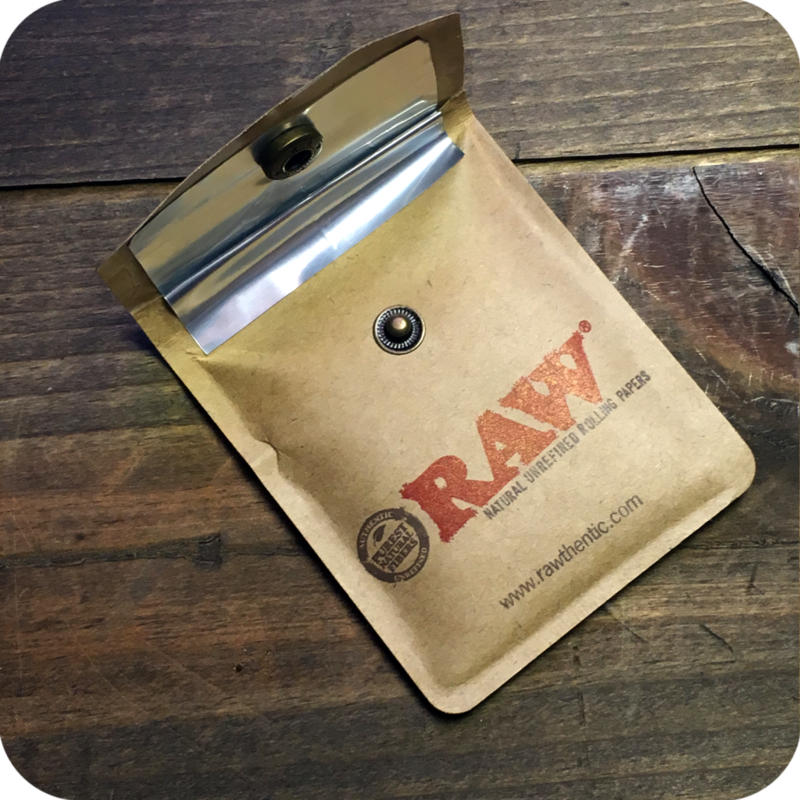 At 3″ x 3 1/2″ the RAW Pocket Ash Tray will gladly make space in your pocket or purse along with your other everyday items like keys, phone, etc. The inside is lined with foil and the outside is made of thick paper. It is safely secured with a snap at the top so you do not have to worry about spilling! Just grab this vegan friendly product on the way out the door and you no longer will need to worry about where the ash is going. Looking for more on the go smoking accessories? 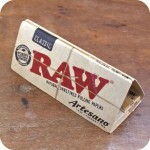 Check out these awesome American made dugouts. 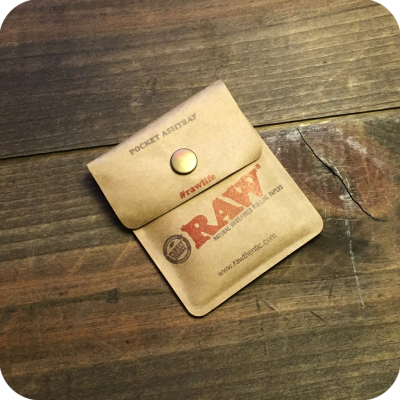 These are hand-made with high quality wood and pair perfectly with the RAW Pocket Ash Tray. Each dugout even comes with it’s own one-hitter! And while your here get yourself some I-Tal Hempwick. Hempwick is an all-natural, healthier alternative to lighting up directly with a butane lighter. 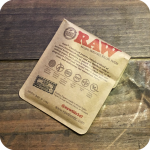 Without hempwick, the smoker is inhaling potentially harmful toxins. And of course, do not forget to swing by either one of our three Sunflower store locations to see what else we have to offer! We are located at 12 Wilson Ave, 518 Grand Street, and 377 Metropolitan Ave in Brooklyn, NY. Tags: Pocket Ash tray, raw, RAW Pocket Ash Tray.